Joystiq has come up with a brilliant idea for the second year running that we should have stolen… But since we didn’t let’s just join them in celebrating a game of E3 Rumour Bingo. 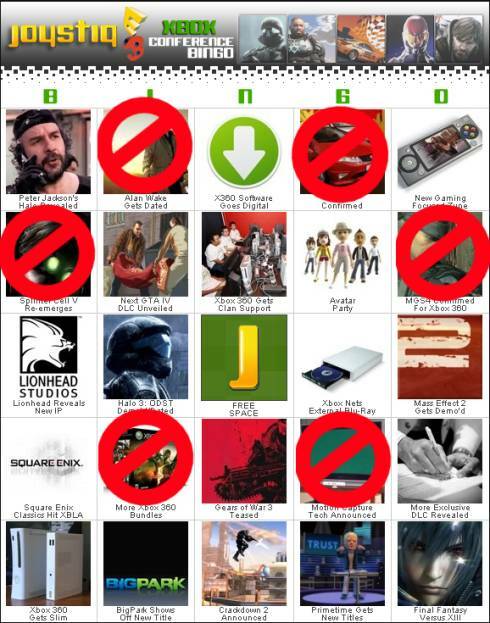 Joystiq have pre-populated a bingo card for us but you are free to make your own, I have stamped the 6 rumours that I am expecting to see this year but feel free to make your own choices and let us know which are your top 6 for this years E3. Click through to see all of Joystiqs guesses along with a clean bingo card.